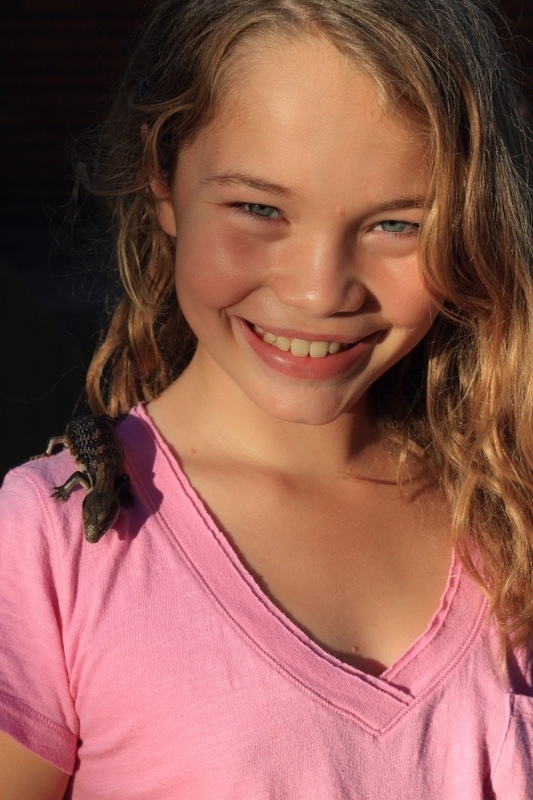 When I was a young lad in Sydney my favourite pets were lizards. My mates and I kept all manner of blue-tongues, bearded dragons, frill-necks, and other quite ‘exotic’ species. It’s probably illegal these days without a license. There was even a pet shop out west at Parramatta called Lewis’s Pet Shop – it sold snakes. 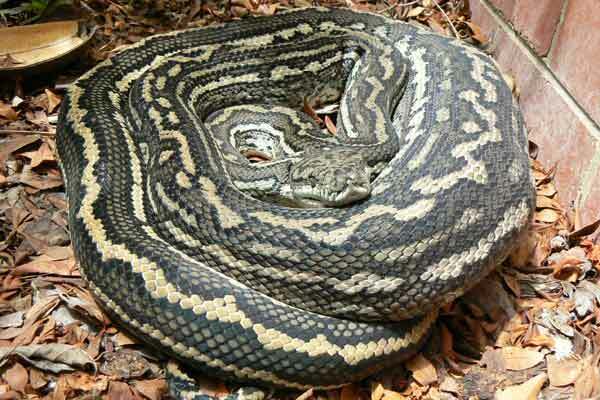 I always wanted a carpet snake – it’s a python and quite safe, in terms of your chances of dying from a bite, as it isn’t venomous. One night my father was in an elevator in the city when a man entered with a box. My father joked “what have you got in the box, snakes?” Sure enough he did. It was the man from Lewis’s Pet Shop and he’d just given a snake show at a corporate event. So at a late hour on the footpath of Castlereagh Street, my father found himself holding a carpet snake in one hand and a diamond python in the other, negotiating the price per foot length, to buy me a snake. The next day my father told me the man offered him a deal – I was so excited. My mother exclaimed it was either her or the snakes. But it was not to be. When I discovered I had to feed the snakes live frogs, rats, mice or even guinea pigs, I changed my mind. I was a bit of a softy and couldn’t feed live animals to the snake, particularly as I also kept guinea pigs. So I kept lizards but no snakes – though I worked with some over the years. Fast forward to last week. We live next to a lagoon and have blue-tongues and eastern water dragons, along with all sorts of other animals sharing our yard. We’ll never have to buy a pet, we have more than we need. A baby blue tongue has been living in the front yard, but had disappeared. We found him a few days ago trying to warm-up in the sun on the path. He was freezing and could hardly move. Last year a couple of baby blue tongues died from exposure to the cold and I had to perform the ritualistic burial and explain to my kids why they had passed on. So we took the lizard in, cleaned out an abandoned fish tank, built a house and put it into its new home in the sun. We’ll look after it through Winter and then release it back into the yard. Am not sure if it’s a boy or girl? I dug up a few worms and our daughter raided our worm farm – but I explained that wasn’t really sustainable. Bluey (that’s its name) gobbled them up. I soon realised I couldn’t spend my day hunting grubs and worms to feed Bluey, so I went to the pet shop – well it’s more a rural barn in suburbia, catering for domestic animals and their owner’s egos. That’s when I discovered branded insects. Now you may be familiar with these, given your own pet experiences. But it was the first time I had to decide between brands of Mealworm. They all looked the same to me – packets of sawdust with dark specks indicating the front or rear end of the worm. What was their point of difference, their USP? I had to decide if the “Organophosphates-free and hormone-free” Mealworms (in 10 gram pack) were the right brand for Bluey? 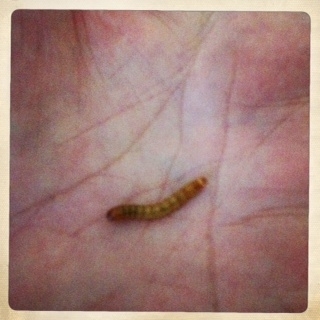 I mean what size would your average 1 inch Mealworm grow if they weren’t hormone-free? This started me pondering. Are the Mealworms organic? Are they Australian Made or imported? I only want the best natural food for Bluey. What if Bluey is gluten or lactose intolerant? There was nothing on the packaging to allay my fears. Should I be worried? What if Bluey has an allergic reaction? And then there’s the crickets. A software developer who worked for me, used to buy containers of full-size live crickets to feed her man-eating fish (I didn’t dare ask). But the lady serving me wanted to know what size crickets I needed? “What size?” I stammered. “I have no idea.” I knew I should have brought Bluey with me. The large ones looked like they’d eat lizards for breakfast, so I opted for the small ones – all grown to the same size on some cricket-formula-food, designed to maximize growth in the shortest time. Are these organic or chemical-free I wondered? The labeling was minimal. There was half an egg carton, a bunch of bugs and two slices of old carrot, all in a take-away food container. Once home I discovered how high the small crickets can jump. It’s damn high – which means they can jump out of the fish, I mean lizard, tank. Do I have to maim them before feeding time? And how do I do that – they’re so tiny? Thankfully Bluey loves the brand of Mealworms I chose – at the rate he’s eating them I’ll be back at the pet shop tomorrow. Maybe I could start my own Mealworm farm, next to our earthworm farm? But how do I know if I have breeders and not some specialist hybrid version that don’t reproduce? So much work to do for one lizard. My kids are very excited about Bluey. They’ve just told me they want a carpet snake each. I suppose I should be thankful. They could have asked for a dog. Jesus Malcolm, just get the dog. Brings a while new meaning to ‘its just not cricket’! Oh and don’t ‘dis’ the dog!